Just three years ago, in September 2015, all United Nations Member States approved the 2030 Agenda for Sustainable Development. The eradication of hunger and all forms of malnutrition (Sustainable Development Goal number 2) was defined by world leaders as a cardinal objective of the Agenda, a sine qua non condition for a safer, fairer and more peaceful world. Paradoxically, global hunger has only grown since then. According to the latest estimates, the number of undernourished people in the world increased in 2017, for the third consecutive year. Last year, 821 million people suffered from hunger (11 percent of the world population - one in nine people on the planet), most of their family and subsistence farmers living in poor rural areas of sub-Saharan Africa and Southeast Asia. However, the growing rate of undernourished people is not the only big challenge we are facing. Other forms of malnutrition have also increased. In 2017, at least 1.5 billion people suffered from micronutrient deficiencies that undermine their health and lives. At the same time, the proportion of adult obesity continues to rise, from 11.7 percent in 2012 to 13.3 percent in 2016 (or 672.3 million people). Hunger is mainly circumscribed to specific areas, namely those ravaged by conflicts, droughts and extreme poverty; yet obesity is everywhere, and it is increasing all around the world. As a matter of fact, we are witnessing the globalization of obesity. For example: obesity rates are climbing faster in Africa than any other region – eight of the 20 countries in the world with the fastest rising rates of adult obesity are in Africa. Furthermore, childhood overweight affected 38 million children under five years of age in 2017. About 46 percent of these children live in Asia, while 25 percent live in Africa. If we do not call for urgent actions to halt the increasing obesity rates, we soon may have more obese than undernourished people in the world. The growing rate of obesity is happening at a huge socio-economic cost. Obesity is a risk factor for many non-communicable diseases such as heart disease, stroke, diabetes and some types of cancer. Estimates indicate that the global economic impact of obesity is about USD 2 trillion per year (2.8 percent of the global GDP). This is equivalent to the impacts of smoking or armed conflicts. This year, World Food Day (celebrated every 16th of October) aims to remind the international community of its fundamental political commitment to humanity – the eradication of all forms of malnutrition – and raise awareness that achieving a Zero Hunger world by 2030 (so in 12 years-time) is still possible. The experience of Brazil is a good example to have in mind. According to FAO estimates, hunger in Brazil was reduced from 10.6 percent of the total population (about 19 million people) at the beginning of the 2000s to less than 2.5 percent in the 2008-2010 triennium, which is the minimum value in which FAO can make meaningful statistical inference. This reduction in the number of undernourished people was mainly possible due to the firm commitment of former President Lula and the implementation of public policies and social protection programmes addressing extreme poverty and the impacts of prolonged droughts in the northeastern part of the country. In fact, governments have the most fundamental role in achieving Zero Hunger by ensuring that vulnerable people have sufficient income to buy the food they need, or the means to produce it for themselves – even in times of conflict. However, world leaders have to bear in mind that the concept of Zero Hunger is broader and not limited to the fight against undernourishment. It aims to provide people with the necessary nutrients for a healthy life. Zero Hunger encompasses the eradication of all forms of malnutrition. So it is not just about feeding people but nourishing people as well. Current global food systems have increased the availability and accessibility of processed food that is very caloric and energy-dense, high in fat, sugar and salt. Food systems must be transformed in a way so that all people can consume healthy and nutritious food. We need to address obesity as a public issue, not as an individual problem. This requires the adoption of a multisectoral approach involving not only governments, but also international organizations, national institutions, civil society organizations, the private sector and citizens in general. It must be a collective effort towards healthy diets that include, for instance, the creation of norms such as labelling and the banning of some harmful ingredients, the introduction of nutrition in the school curriculum, the adoption of methods to avoid food loss and waste, and the establishment of trade agreements that do not hamper access to locally grown, fresh and nutritious food from family farming. “Our actions are our future” is the message of World Food Day 2018. It is time to renew our commitment and, even more important, the political support towards a sustainable world free from hunger and all forms of malnutrition. 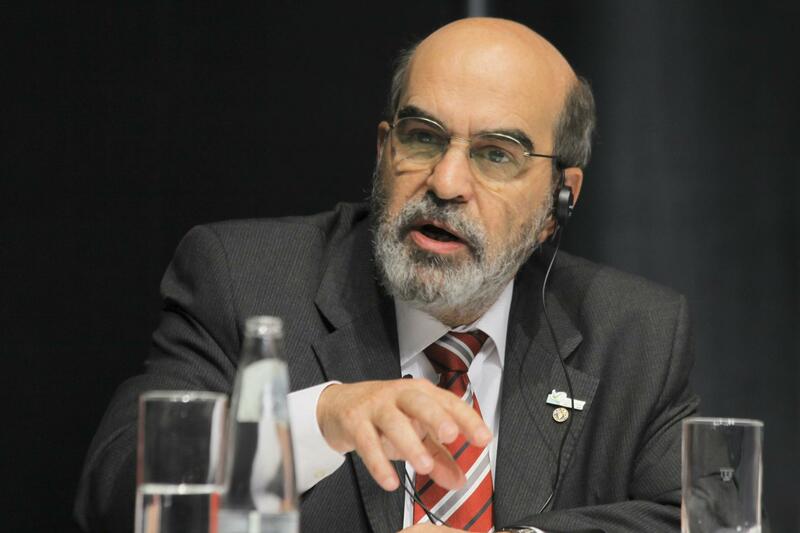 The author is the director-general of Food and Agriculture Organization of the United Nations.